A reminder to all you writers looking for a home for your stories: the submission periods for the 2013 Alchemy Press anthologies -- Astrologica, Pulp Heroes 2 and Urban Mythic opens on 1st January and remain open until the end of March 2013. Now is the time to polish off your manuscripts and getting them ready to send them in to your hard-working editors. We had hoped to secure additional funding in order to pay semi-pro rates for your stories. But alas, the people holding the cheque book didn't think that a series of fantasy anthologies was serious enough. What do they know? 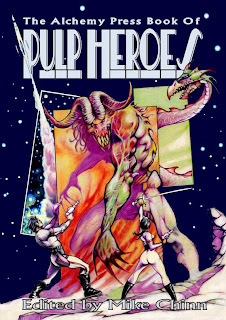 Therefore we will only be paying a nominal fee again (as we did this year for Ancient Wonders and Pulp Heroes 1). Check the above links for details. British independent press: The Alchemy Press, run by Peter Coleborn. 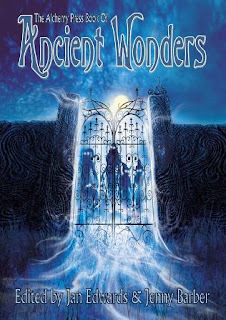 I have edited and produced titles for the British Fantasy Society (including Dark Horizons, Winter Chills and Chills). I have chaired both the BFS and the annual British Fantasy Convention. I write fiction, reviews, edit manuscripts (including line edits) for other writers, co-created and chair a writers' group. In 2009 I sat as one of the judges for the prestigious World Fantasy Awards ... And I also take photographs.